In the worst attack in at least six months, Taliban fighters overran an Afghan army base in Kunar province near the Pakistan border, killing 21 Afghan soldiers who were said to have been sleeping at the time of the attack. It appears that a very large Taliban force carried out the attack. The New York Times carried a statement from the Afghan Defense Ministry that “hundreds” of fighters were in the attack and that the battle lasted four hours, while the Washington Post stated that “more than 100” Taliban fighters carried out the attack. One of the Afghan soldiers taken prisoner, who later escaped and was interviewed in the eastern city of Asadabad, said he believed that the insurgents had entered the fortified base with the collusion of infiltrators who had been on guard duty in the base’s three watchtowers and outside its barracks. He spoke on the condition of anonymity because he was not authorized to speak to the news media. “I believe these four soldiers had links with the Taliban,” he said. “They shot our soldiers while they were sleeping. When others woke up, they were taken alive, along with me.” He said that he and three other soldiers had managed to escape from the insurgents as they fled the area. The Times article also states that as the US draws down its forces, Afghan units no longer are accompanied by US forces and “do not have the close air support they often enjoyed”. It should be noted, though, that Afghan forces have already retaken the base. Also note that, as seen in the accompanying video of the funeral in Kabul for those killed, and as noted in this article in ToloNews, Afghan helicopters were at least available to ferry the dead, and so we are left to wonder if they were also involved in the re-taking of the base. Afghan President Hamid Karzai canceled a planned trip in response to the attack and called for Pakistan to take action against the Afghan Taliban forces which find refuge in Pakistan. 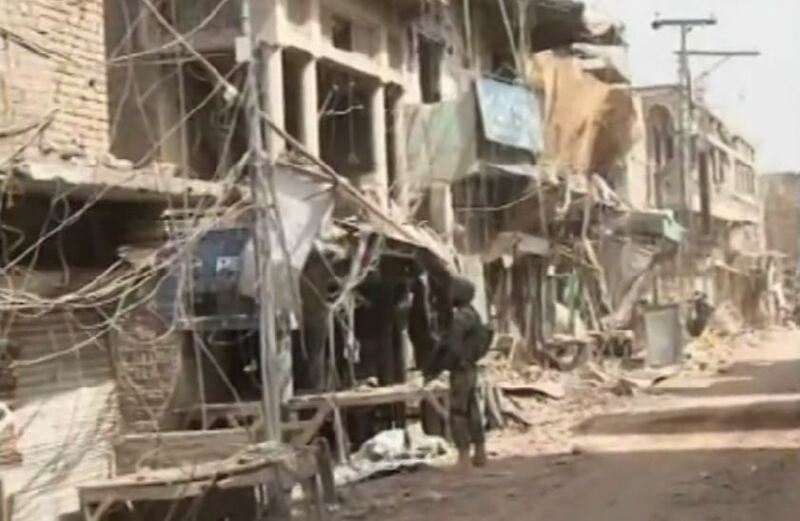 It is not clear if Karzai was aware that on Sunday, Pakistan killed at least 38 suspected militants in North Waziristan in air raids carried out by Pakistani jets. Yet another high ranking member of Pakistan’s Taliban also was gunned down today, as well. “My cousin was killed in the attack yesterday,” Hajji Alif Khan, from Khost Province, said at the ceremony at the military hospital. “I want to see the bloodshed ended in this country in my lifetime. It is enough, we lost thousands of people. Let’s stop this war,” he said. Update February 14: Khan has been freed! The Express Tribune reports that he was beaten and tortured, but is now free after being blindfolded and pushed out of a van. In a very interesting development, Al Jazeera is reporting that disappeared drone activist Karim Khan had planned to testify before the International Criminal Court in The Hague on his trip to Europe which had been planned to begin on February 15. Khan was abducted from his home on February 5 and it is widely believed that Pakistan’s intelligence service was behind the abduction. A North Waziristan tribesman, whose brother and teenage son were killed in a drone strike last year, said on Monday that he would sue all those US officials supposedly in control of the predator’s operations in Pakistan. Karim Khan, a local journalist from Mirali town of the lawless tribal district, had sent a $500 million claim for damages to the US Defence Secretary Robert Gates, CIA chief Leon Panetta and its station head in Islamabad Jonathan Banks. He told journalists that CIA Islamabad’s chief Jonathan Banks buys information from his local agents in the area to guide the drone strike. However, he added that this information is wrong and misleading in most occasions causing the deaths of many innocent tribesmen. Khan’s attorney throughout this process has been Shahzad Akbar. Akbar also represents Noor Khan, whose case in the Peshawar High Court resulted in the ruling that US drone strikes within Pakistan are illegal and constitute war crimes. A Pakistani court has ordered the country’s intelligence agencies to produce a prominent anti-drone campaigner, who was abducted last week, by February 20, or to categorically state that they are not holding him, the activist’s lawyers say. Speaking to Al Jazeera on Wednesday, Shehzad Akbar, the head of Karim Khan’s legal team, called Khan’s abduction from his Rawalpindi home late on February 5 “a signature government abduction”, alleging that Pakistan’s powerful intelligence agencies were responsible for the disappearance. Khan had been due to fly to Europe on February 15, on a trip that would see him testify before members of the European Parliament in Brussels, UK legislators in London and the International Criminal Court in The Hague, on the US’ use of drone strikes in Pakistan’s tribal areas. Lahore High Court (LHC) Rawalpindi bench on Wednesday issued notices to security agencies to submit their reply in a case related to disappearance of an anti-drone activist as it ordered to present the man at the next hearing. LHC Justice Shehzad Ahmad Khan was hearing a plea filed by the family of Karim Khan, who went missing a few days back. During the proceedings, the police denied their involvement in the disappearance. “Khan was picked up by persons wearing police uniform but he is not in our custody,” the police report claimed. On this, the court sought reply from all intelligence agencies and ordered them to present Khan on February 20, the next date of hearing.